As part of our “one or two” trips away each year, myself and a bunch of the members from ATP met up for some Lake District photography in Cumbria a couple of weeks ago. If you have yet to visit the Lakes, I can highly recommend that you make it part of your holiday schedule. That is, even if you live abroad (two of our members drove up from Spain to include the meet as part of their annual pilgrimage to the UK). 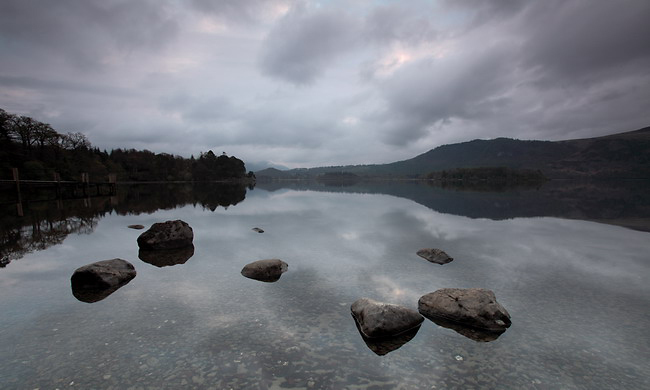 Peace, tranquility, solitude, fresh air, no traffic, breath-taking scenery, good walks and great pubs! The accommodation sorted by one of our members from Scotland was stunning and I would highly recommend a visit. We stayed in two large cottages with a further annex attached and all three were connected and accessible by everyone. Some rooms had en-suite wet-rooms for showers and both cottages had good sized kitchens and living areas with large working fireplaces. So, after a 6 hour drive and 350 miles, I made it to the Lake District with time to spare. I made the most of it and explored a little whilst shooting some of the local area. Gradually everyone arrived and we spent the first evening in the local pub, very local in fact...about a minutes’ walk. Great food, great company and good fun. The next morning, we had planned to rise early, 5am(!) to get out and about to capture any sunrise that may occur. A short (ish) drive followed by a nice, long walk to the Lakes, we set up camp for a couple of hours and fired away. The weather wasn’t perfect but it was still, calm and not too cold. I think most people managed to get some nice shots and fresh air! We then headed back for a hearty fry up before heading out for the rest of the day. En route to Buttermere Lake, we spotted a huge waterfall at the head of the stunning Newlands Valley. We decided to spend an hour or so there. One of the members mistakenly (possibly) followed the marshals of a local Fell Running event. He ended up atop a huge hill/mountain unbeknown to us. As we were leaving, the head count proved inaccurate and we tried the guy’s mobile. No signal (middle of nowhere). We fanned out and searched high and low thinking he may have fallen down one of the steep faces. We even had some locals helping us to look. An hour and a half later, we were just about to call for the air rescue when we managed to get a signal. Yep, he was miles away but could just about see us in the distance. We waited for what seemed an age and then he appeared on top on the mountain. After falling twice on his way down, we made our way to the Lake where we spent the afternoon wandering the peaceful water’s edge, sipping coffee and eating ice cream (Alan ; ). Rule 101 of walking in the Lake District. Don’t leave the group and wander off alone without telling someone where you are going! At Lake Buttermere, the weather wasn’t great. However, we had a peaceful walk in beautiful surroundings and managed to get some nice shots. After another "incident" on the way home which I won’t go into here, we made our way to back to the cottages. But on the way back, we decided on a bit of a detour (much to the dismay of those not with us as we had the keys to cottage 2. Oops). However, we found a beautiful old bridge with amazing views and a bit further upstream. It had a viewpoint with a sheer 100-200 foot drop which Sue felt quite comfortable sitting on the edge of. Made me feel sick if I am honest. That night, some of the members knocked up a rather wonderful meal (Chili). We ate, drank and chatted the night away. All whilst watching some of our images on a projector kindly supplied by another member. The next morning some of us that were determined to get some good early morning shots rose early again and set out to Keswick​. What a place! Our patience paid off as after an hour or so the sun started to shine. It came with the bonus of some pretty impressive cloud formations. I think I got some of my favourite shots of the trip here and plan to go back one day with the family. Back to the cottage again for another hearty breakfast. Then we all packed up as the plan was to head off for some more shots, have some lunch and make our way home. First stop for some of us was a large, powerful waterfall on the route home (can’t remember the name). Nice walk down, impressive scenery and strong walk back up the hill with around 30kg of gear on your back. All good stuff! And for the last photo of the day, I present young Rob Lipscombe who (much to our amusement), lost the best part of his pastry when the middle bit fell out with a slap on the floor. Ahhh...replacement pastry in the post Rob! Finally, a small group of us headed to a local pub for a last lunch and then made our way home. I was absolutely exhausted and after an hour’s driving, I pulled over and fell asleep for an hour before completing the rest of the 6 hour drive back to Weymouth. A completely exhausting but totally enjoyable weekend. Everyone agreed that the location and accommodation was stunning (and we didn’t fight once). What a great bunch of people! If you would like to join ATP Members to get some cool training (weddings, DSLR, stock photography, business) and perhaps meet up with us on the next trip (possibly rutting stags in Richmond park in October 2012), then go to ATP Members and check it out. 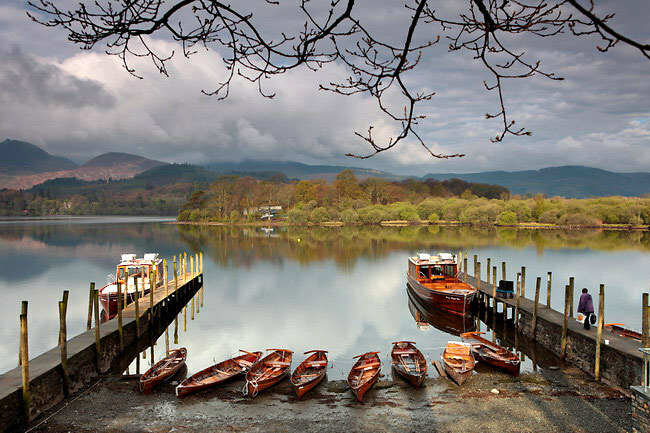 “Excellent weekend in the Lakes with great company – thank you Nick. I loved reading your blog specially that character getting lost on the other side of the mountain. What a drama!